If you do Twitter right (full disclosure: I also follow Only in Russia and The Dodo) it can be an awesome space for global development debates. There are a lot of smart people in my regular feed that share interesting, important empirical insights into development research e.g. Dina Pomeranz, Alice Evans, Maya Forstater, David Evans, or Justin Sandefur. It has been a loooong week-as you probably guessed by the delayed publication of this week's review. 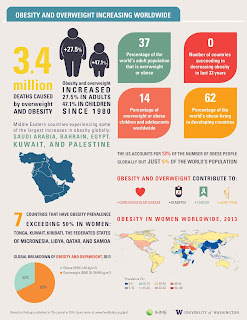 However, as always there is plenty of food for thought on everything from war crimes to labeling a 'hut', from sexual violence to empowering stories featuring women from Kenya and Bolivia, from misguided stereotypes about India to revolutionary global ecosocialism, from laptop humanitarians to civil society claqueurs, from Bono to Louise Linton! Sussex University recently organized a Decolonising Development Studies event. I submitted a short input for discussion, but unfortunately was unable to attend the event in person. Below is a slightly revised version of my input on how development blogging and curating innovative development-related digital content has played a small, yet important role in decolonizing my approach to teaching and communicating development studies. I started my development blog Aidnography in 2011 and it has since become an integral part of my teaching, research and broader engagement to communicate development issues. The practice of regular blogging and curating content has become an opportunity to shift foci from traditional locations of where and how development is communicated – and who is in charge and part of the story. Development news: Humanitarian Evidence Week; Red Cross fraud in West Africa; why development finance institutions use tax havens; failed infrastructure projects in Ghana; local aid workers in Kenya; Oxfam & the aid industry's sexual harassment problem; how to fix Afghanistan? Inside Eritrea; Thousand Currents; Bright Magazine; development economics research; using social media for development research. Our digital lives: The social cost of digital disruption in Nigeria; sexist travel Instagram. 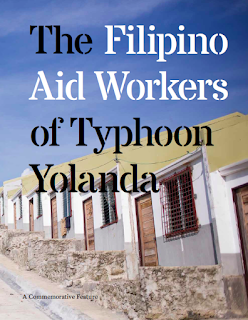 Publications: Local aid workers in the Philippines. Academia: Developing countries & predatory publishing; tech adoption in the classroom; open access fosters engagement.